Last month, Canadian menswear brand Frank & Oak debuted Balsem, a new, in-house apothecary line. Described as “a refreshing upgrade from drugstore dullness,” the unisex collection’s 10 SKUs for skin, hair and body are available on the brand’s website and in its North American retail stores. Made in Canada and the U.S. by a manufacturing partner, the line incorporates Canadian-sourced botanicals like birch sap to help tone and hydrate the skin and willow herb to reduce redness. 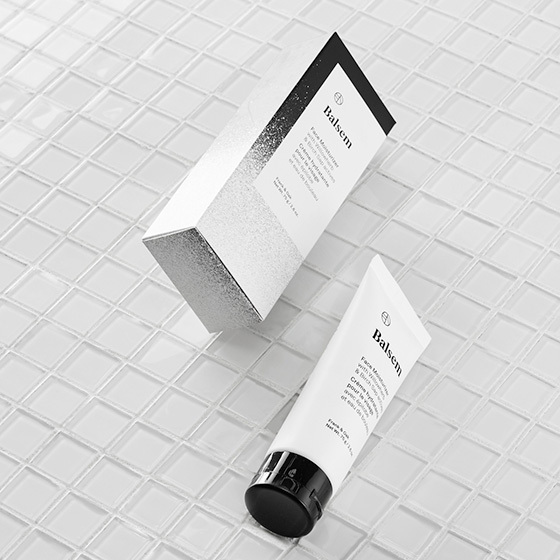 Branching into the grooming category was not such a big jump for the Montreal-based retailer, which has carried items from male-focused hair and skincare brands like Baxter since its early days in 2012 as a strictly-online shopping destination. Today, more than half of Frank & Oak’s 12 brick-and-mortar outlets feature an in-store barbershop that offers haircuts and shaves to its clientele. The brand’s mandate has always been to cater to a creative-class male who’s as likely to shop Frank & Oak’s flannel shirts from his mobile phone as he is to stream one of its playlists on SoundCloud. Grooming products that combine a modern look with a back-to-basics approach fit neatly into this lifestyle ideal. We spoke with Frank & Oak co-founder and CEO Ethan Song to get the Balsem backstory. Given that Frank & Oak is a fashion startup, what inspired the leap into making a whole new product category? As we came across products from different brands, we realized there was a space in the market. We asked ourselves, “If we could start from scratch, what would be the product we would like to use?” With feedback from our customers and our barbers, we were able to develop that line. Our focus is to create high-quality products that are also accessible for our male clientele. Something that has always been a part of our philosophy is to help our customers live better, dress better and feel better. [Balsem] definitively fits in to the “feeling better” aspect of our brand and that’s why it was a very natural extension. It’s also because we have experience in the field from selling creams and pomades for the past couple years. What was the inspiration for the scent of the products? The original scent we developed is not specific to a certain plant or a tree. The inspiration was the feeling in the morning when you walk outside your cabin and into the snow. It really smells cool and fresh; that was the idea. What makes the products unisex? The reason it’s unisex is more about usability. [Balsem is] your simple product, it’s effective, the scent is not too strong. It’s not for all girls, in the same way it’s not for all men either. It’s for people who want a simple, effective, high-quality product and I think that’s just as relevant for men as it is for women. Why are Frank & Oak’s in-house barbershops and grooming services important to your target consumers? We started selling apothecary and grooming products online about three years ago. In the past 18 months, we started opening retail stores and now we have stores across most major cities in Canada. In the U.S., we’re in Chicago, Washington, D.C., and Boston. As we went into the retail space, we wanted to create this sort of service that cannot be replicated online. With that philosophy in mind, we realized that having a barbershop where you can go once a month and we take care of you and provide you with a service you can’t get online, that made a lot of sense.